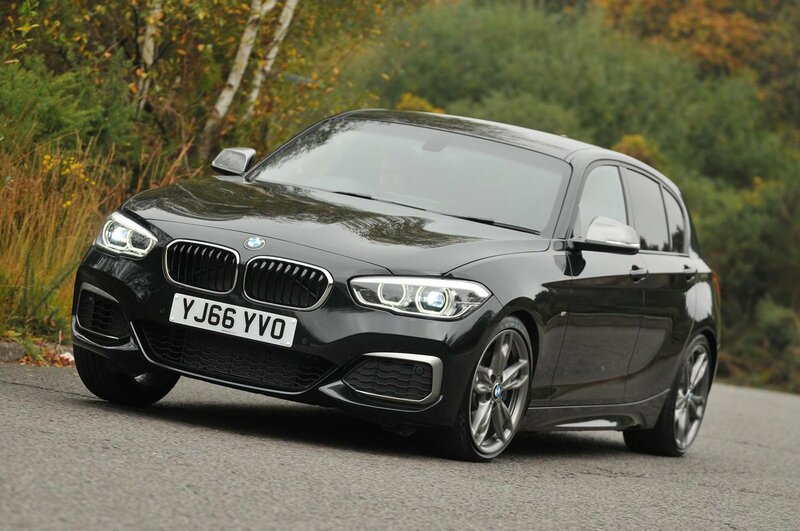 BMW M140i Interior, Sat Nav, Dashboard | What Car? 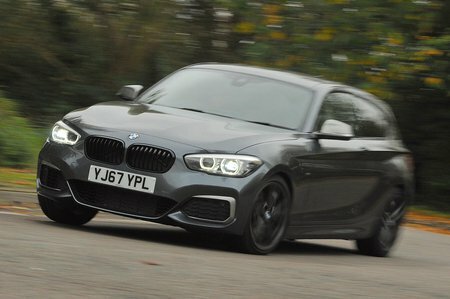 In line with its relatively inconspicuous exterior, sporting touches are in short supply inside the M140i, with nondescript leather sports seats and aluminium inserts with blue edging the only notable upgrades. However, the seats are both supportive and widely adjustable, contributing to a comfortable, low-set driving position. It's disappointing, though, that lumbar adjustment costs extra. The M140i isn't as classy inside as the Audi RS3, but soft-touch plastics are in abundance, the dashboard layout is conservative but smart, ergonomics are sound and most of the buttons and switches feel robust. The slim rear window means your view out of the back is more restricted than in the likes of the Volkswagen Golf R, but it's still better than in a Honda Civic Type R.
Rear parking sensors are not included on the standard car (they are on the Shadow Edition), but can be specified along with front parking sensors and a reversing camera. 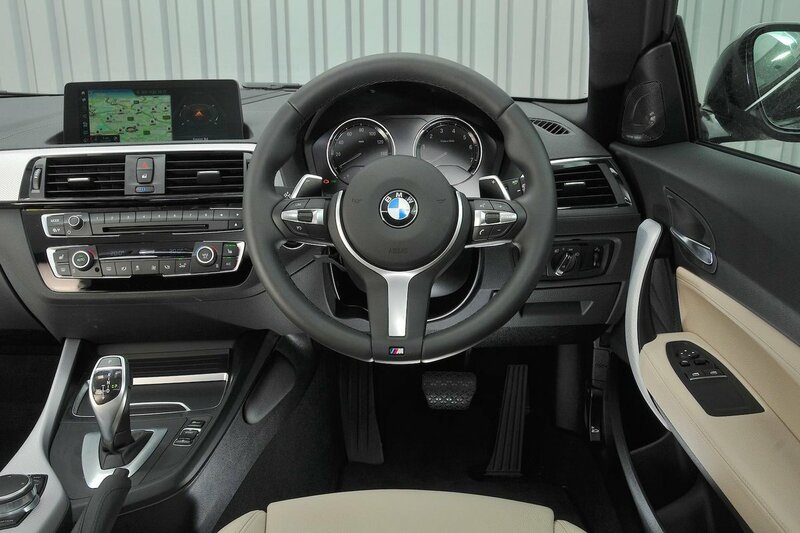 The standard iDrive infotainment system uses the usual rotary controller positioned between the front seats (supplemented with conventional buttons) and a fixed 6.5in screen on top of the dash that can be enlarged to 8.8in with the upgraded navigation option. It’s a slick and easy-to-use system that responds quickly and has sharp, accurate graphics. Apple CarPlay smartphone mirroring is available, but only if you pay extra for the upgraded infotainment system. That strikes us as more than a little stingy. At least sat-nav, DAB radio, Bluetooth and USB are standard features.